The news that the Boston bombing suspects had planned more attacks has been floating around all day. But one detail from the New York Times coverage gives us pause as New Yorkers: When the brothers allegedly hijacked a Mercedes SUV ahead of their shoot-out with police late Thursday, taking its driver hostage, “they told him that they planned to head to New York.” Although they didn’t say why. 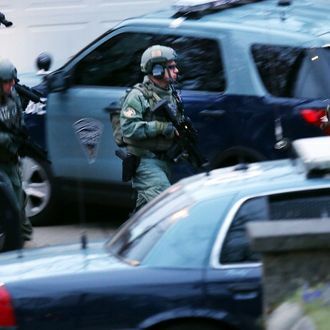 Fortunately, the hostage was able to escape when the brother stopped at a gas station in Cambridge to buy snacks.